Officials with Rosatom, Russia’s state nuclear corporation, have reported that the fueling of their controversial floating nuclear power plant has been completed in Murmansk this week. The move represents a significant step toward the eventual launch of the plant, after which it will be towed east across Siberia’s northern shores to Chukotka and plugged into the electrical grid of Pevek, a small port town on Russia’s Pacific Coast. Vitaly Trutnev, the Rosatom official who has overseen the difficult 12-year-long build of the floating nuclear plant, told the Independent Barents Observer that the next steps for the plant will be achieving criticality in its two KLT-40 reactors, which is slated for this month or next. Criticality is the point at which a nuclear reactor’s fissionable material – in this case uranium – can sustain a chain reaction on its own. Following that will come what he called “integrated berth trials,” which will proceed brining the reactors to their design capacity of a combined 70 megawatts. In other words, the Akademik Lomonosov, which for 12 year has been the subject of industry praise and environmental scorn –with some secrecy and financial trouble thrown in along the way – is mere steps from becoming a full-fledged nuclear power plant. 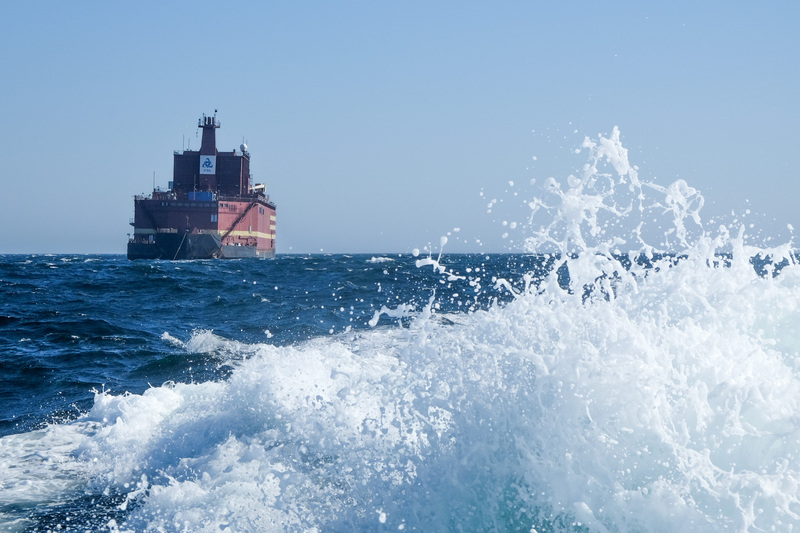 The gaze of the world has been on the floating nuclear plant since April, when it was finally towed from the wharfs of St Petersburg’s Baltic Shipyard in the Gulf of Finland for its voyage north to Murmansk. Greenpeace immediately dubbed it the “nuclear Titanic” and called it a “Chernobyl on ice” – a nod to its eventual deployment in the Artic waters near the Bering Strait. Bellona has opposed its construction from the beginning, and seven years ago, wrote a report detailing its objections to the concept. Chief among them is the Akademik Lomonosov’s intended use in remote locations, which both complicates the safe removal of its spent nuclear fuel, and complicates the logistics of responding to any accidents that may happen aboard. The Akademik Lomonosov is also, despite Rosatom’s claims to the contrary, vulnerable to tsunamis and other violent sea rises. In world where memories of Fukushima’s waterlogged reactors are still fresh, that’s a potent concern. 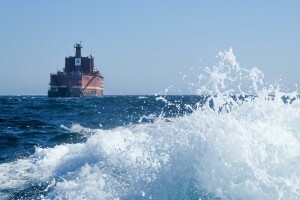 Rosatom has said that any wave big enough to knock out the Akademik Lomonosov’s functioning would not be catastrophic. It’s location on the ocean, says the corporation, would give it a source of abundant coolant. But that doesn’t account for more dire scenarios. The plant might ride out the waves, but instead torn be torn from its moorings to barrel inland through buildings and towns until it lands, battered and breached, with two active nuclear reactors aboard, well away from its source of emergency coolant. Last week, Bellona staff became the first foreign environmental organization to get an onboard tour of the Akademik Lomonosov at its mooring at Atomflot, home of the Murmansk-based Russian nuclear icebreaker fleet. 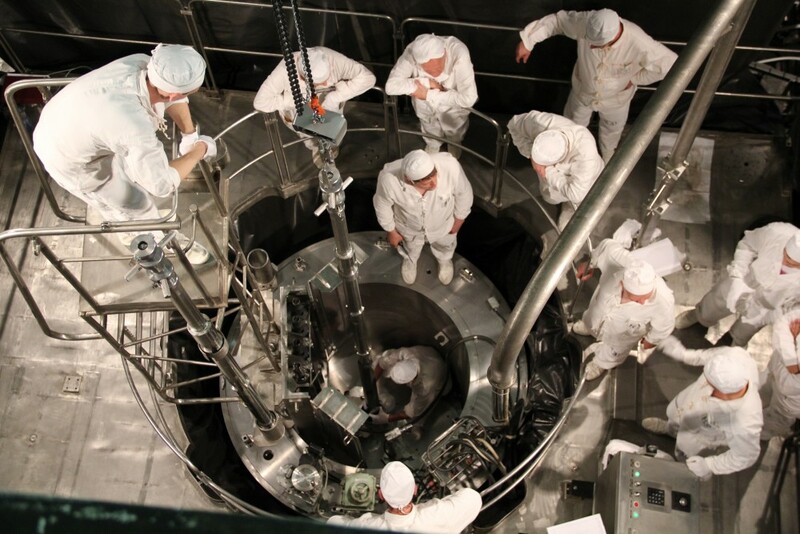 And while Bellona has welcomed Rosatom’s recent overtures toward openness surrounding its floating nuclear intentions, the transparency offers little shelter against such possible calamities.